We surveyed homeowners and designers with experience renovating and building homes. Depending on your experience with these projects, you may or may not be surprised at the results. Here are the first things we noticed. ...to manage the purchases for their projects. Imagine if your cousin emailed a spreadsheet of gift ideas to all of her guests leading up to her wedding. Of course she didn't do that! ...was the most commonly reported issue on projects. At Pocketdoor, we believe that the home improvement project should be as delightful as the finished home. 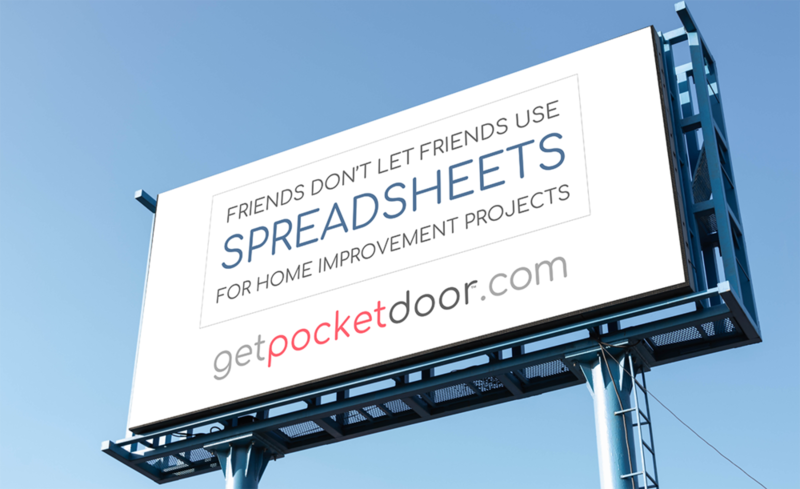 Please do not use spreadsheets and email to organize the purchases for your home project. Sign up for free today and start using Pocketdoor!